We still have a couple prints available from last night's opening with Pearl Thompson, "Through the Eyes of Birds". Hand signed and dated by the former Cure #guitarist. 📧 ellice@mrmusichead.com for more info. Stories at ContactMusic and Hollywood Reporter. The Tortoise and the Hare Experience have a very nice 74 minute interview with Pearl, and also some music from Pearl's new projects. Los Angeles, CA. (February 23, 2015) On Thursday, March 5th, Pearl (aka Porl) Thompson, an English musician best known for his work with The Cure will display original works at the Mr Musichead Gallery in Hollywood, CA. Pearl Thompson will display a visually inspiring collection of work that he has worked on for the past several years. These paintings are inspired by his journeys through the canyons of Malibu and the surrounding desert area. He is moved by the energy and deep underlying spirit that flowers through the rock formations and cactus reminding him of a giant ancient time capsule. Pearl Thompson states, "I like to step back and take on another perspective, see the visions, intense colors, shadows and life forms...like seeing through the eyes of birds." 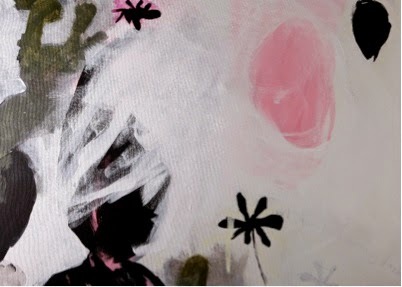 This will be the first solo exhibition for the artist showcasing his mixedmedia paintings. Thompson's new work is vastly different from the older artwork featured on some of The Cure's most famous albums. His artwork today is mainly acrylic on canvas with intentional brushstrokes and colorful slashes of light and is a real celebration of his evolution. Pearl Thompson's new work was noticed when photographer Lisa Johnson captured his image with his guitar in her tabletop book 108 Rock Star Guitars and then introduced him to gallery owner Sam Milgrom. "The same passion that infused his guitar wizardry is very present in his art work. The color schemes and brush strokes are both moving and alluring." - Sam Milgrom, owner, Mr Musichead Gallery. 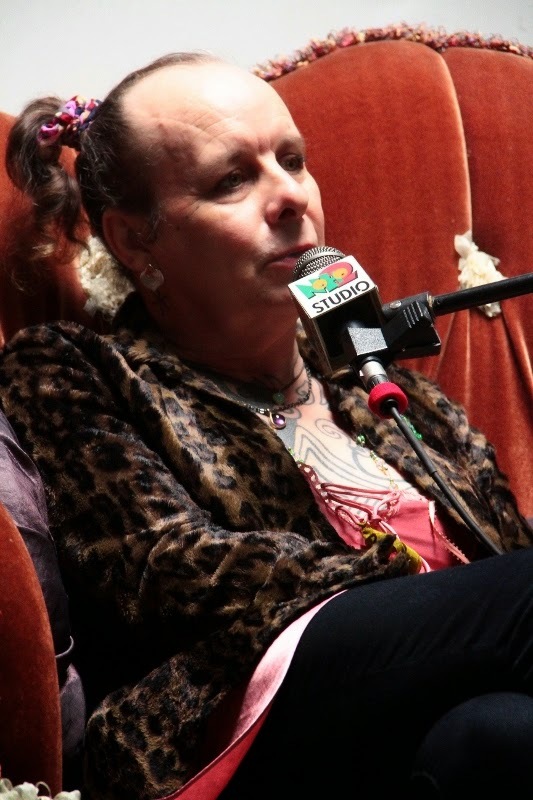 Pearl (Porl) Thompson was part of the original lineup of The Cure, which also included Robert Smith, Michael Dempsey, and Lol Tolhurst when the band was first formed in 1976. Thompson left the Cure in 1994 to play with Jimmy Page and Robert Plant of Led Zeppelin during the Page & Plant tour of 1995. Update (02/25/15): Confirmed with the gallery on Instagram, Pearl will be at the artist reception on March 5th. This page says to RSVP to x@mrmusichead.com. The artist at work....#PearlThompson #painting for his U.S. Premiere exhibit "Through the Eyes of Birds" at #MrMusicheadGallery Click link in bio for more information. 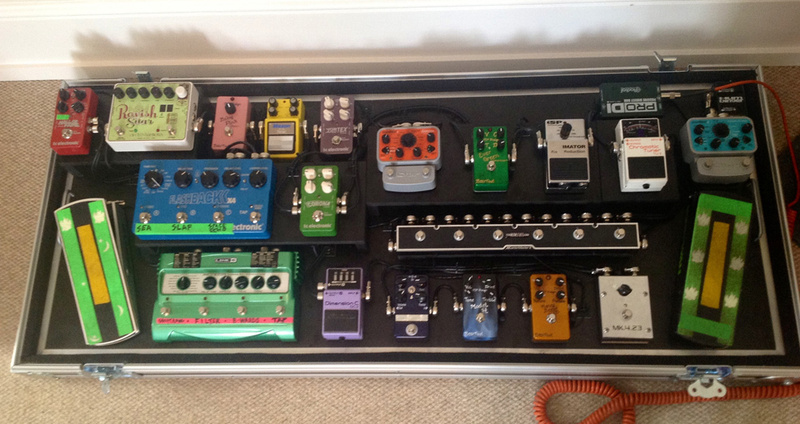 Nice interview with Reeves at Pedal Finder. From Reeves on Facebook: "This new interview is for those interested in my guitar sounds and especially the effects pedals I choose and use -- present, past and in between. Enjoy. 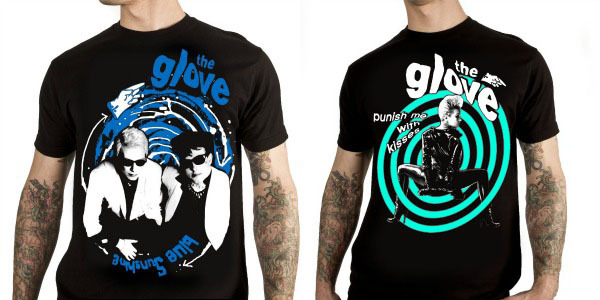 rg"
Slicing Up Eyeballs is giving away 4 pairs of Glove t-shirts. RULES: We’ll take entries until 5 p.m. EST Friday, March 13. After that point, we’ll select four winners at random, who will be notified via their provided e-mail addresses. Important: If the winners do not reply to their notification emails within 48 hours, new winners will be drawn (hey, it happens). One entry per person.